Particulates can either be visible or invisible to the eye. When particulates are visible it will be very easy to take them away from the workspace and make sure that the system is not affected. Problems arise though when they are invisible since it is not easy to spot if they carry bacteria with them. This can affect chemicals in a way that particulates can impair a liquid’s transparency and can likewise block capillaries flowing into it. Working in a clean room is necessary as we all know and it is important to invest in reliable equipment that will take charge of making sure that the room is free from dust particles. A central vacuum supply that has met the standards will be very critical in this regard. You will find such products through Airtech’s list of vacuum and blower technologies. Gone were the days when central vacuum systems are manually operated. Now, automatic central vacuum supply is available to make the work easy for every industry working with chemicals and wanting to free the room from particulates. Zero-downtime systems are easily operable with custom design and engineering available to fit an industry’s operating needs. Customizable features for central vacuum supply include expandable capabilities, replacement pumps, as well as repair and maintenance among others. 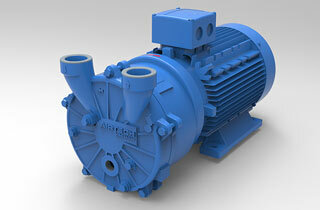 These pumps and compressors are popular in cooling and degassing applications in the chemical industry. They also help with vacuum distillation, molecular evaporation, drying, moisture removal, bottling, waste removal, product suction and air removal. Why Choose Airtech Vacuum Incorporated For Central Vacuum Supply? 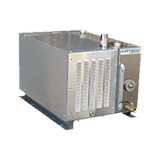 Airtech Vacuum Incorporated was founded in 1982 and has been manufacturing a wide array of vacuum and blower technologies, including oil-less vacuum pumps, oil lubricated rotary vane pumps, liquid ring close-coupled vacuum pumps, and more. Behind us is a dedicated team of engineers who aims to provide no less than the best in vacuum pump technology for various applications. You can be sure that our vacuum pumps for central vacuum supply are easy to install and offer ease of operation whenever applicable. Work with us for your industry needs and you will be 100% satisfied knowing that we are also ISO9001-2008, UL-, CE-, RoHS-, and CSA-certified. We do not just deliver any vacuum pump. We do the custom work to make sure that you will get a product that is best suited for your needs. Airtech offers a variety of regenerative blowers and vacuum pumps with technologies customized for different applications. We are proud of what we have accomplished so far and we can say that we exert every effort we can to make sure that you get the quality you are looking from your orders. We make sure that our customers get the best shopping experience by offering the most competitive rates in the market. Start browsing through our inventory today and source for top-notch central vacuum supply products with exceptional ease!